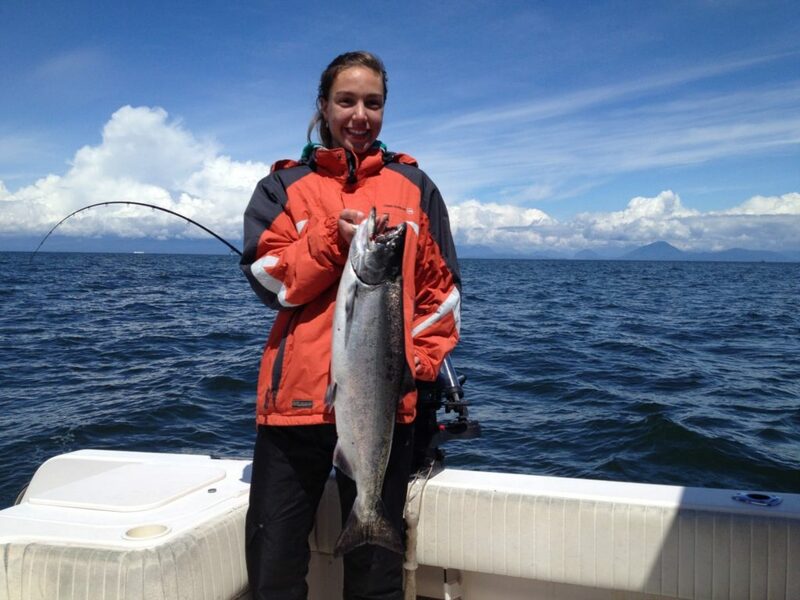 We are well into the spring time chinook season and by all accounts it has been a great one. 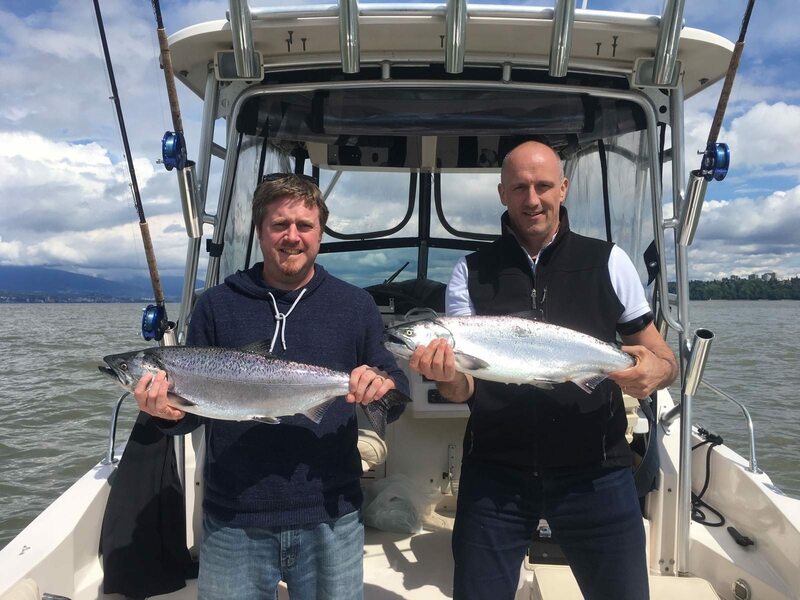 There continues to be good numbers of fish in the local waters, Howe Sound and over in the Gulf Islands. Locally it has been consistently productive from the QA to the Bell Buoy both on the ebb and the flood tide. There have also been some fish out on the Hump. It hasn’t been lights out in either spot, but if you put your time in you will be coming back with some chinook. In both these areas the water has been dirty from the Fraser River freshet, and as a result the bait and chinook are shallow. Productive depths on the riggers have been 60-130. Some of the best flashers have been the Salty Dawg and Chartreuse Glow. A variety of spoons have been productive as well as herring and anchovies. 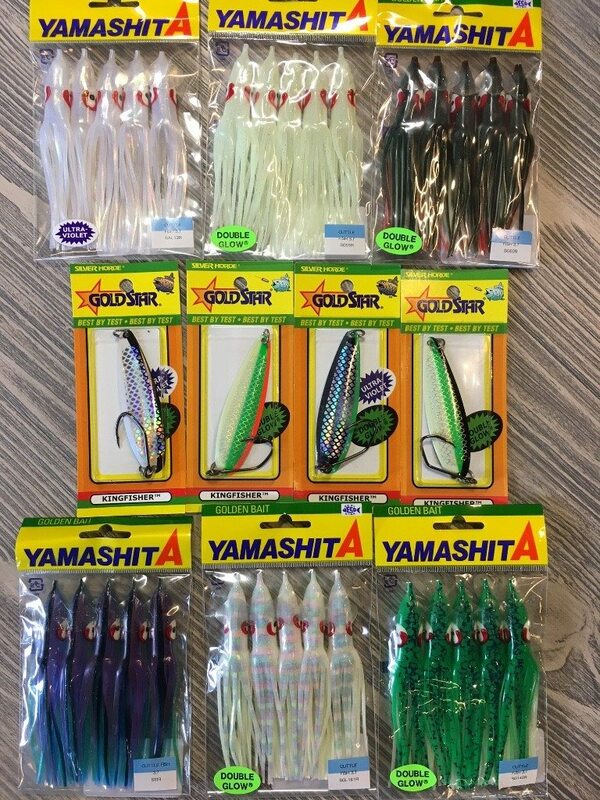 For spoon colour and teaser head colour, choose something that has some glow and green on it. Below is a picture of some of our favorites. There have been a few fish up at Hole in the Wall as there are still a lot of anchovies in that area. The fishing has been hit and miss as different schools of chinook move in and out of the area to feed. One day it is hot, the next very slow. Productive depths have been 60-120 and smaller spoons have been working like Coho Killers, Skinny G and 3.0 Kingfishers. Bait has also been productive, anchovies of course. On the other side there have been some very good days from Nanaimo down to Porlier. There are definitely some good sized schools of chinook moving around these areas. 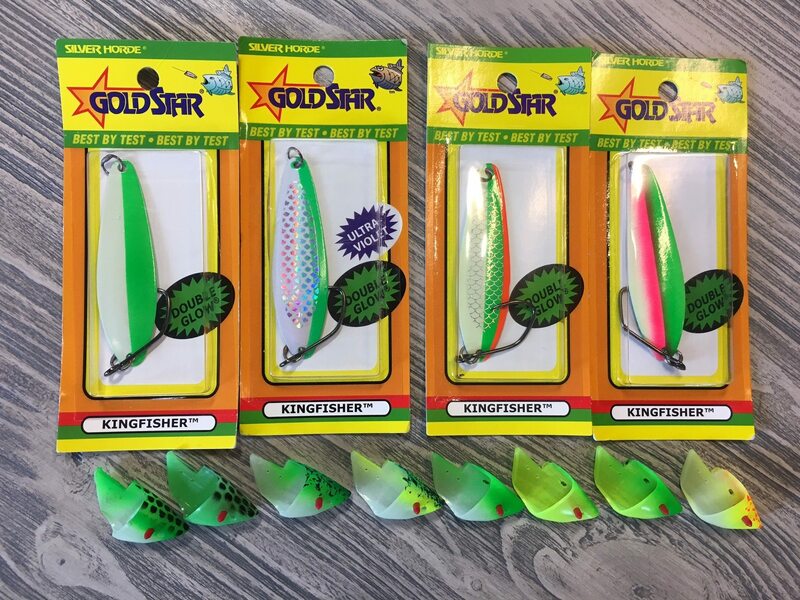 The key word is moving around as one day the fishing is almost described as too easy and the next day you really have to grind hard to find the fish. Productive depths have varied immensely depending on water clarity. In the blue water the fish are deep, 175-225 on the riggers has been good. In the milky brown or milky green water the fish have been much shallower, 60-120 on the riggers. Spoons and hootchies have been producing well. Below is a picture of some of the top producers for that area. One thing to note is that the larger 4.0 and 5.0 spoons have been working well, as have larger sized hootchies often referred to as cuttlefish. This is because the fish have been full of 5 to 8 inch herring and the larger spoons and hootchies are closer to what the fish are feeding on. We should have at least another month of good fishing for these spring time chinook and it will be interesting to see how the back half of this fishery pans out. Keep your eye out for some coho as well. 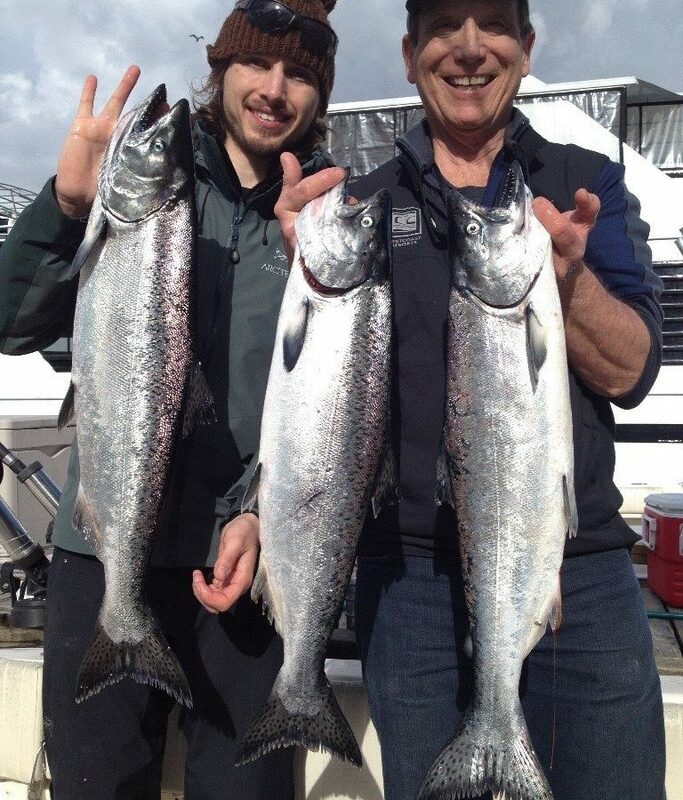 Early reports are that it should be a good coho year in the Strait. Crabbing has been decent, not as good as some years, but still worth dropping the traps.